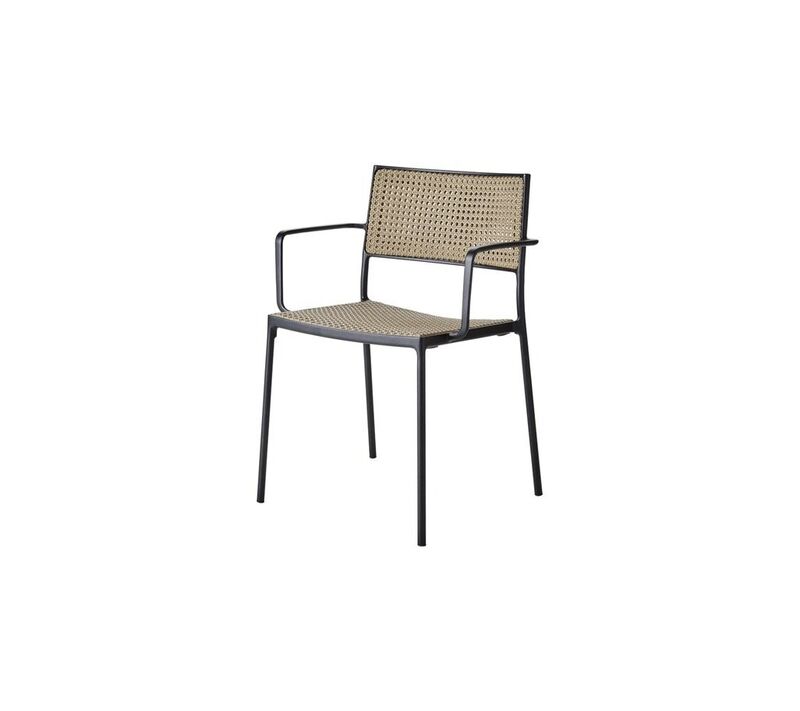 With solid cast aluminum seat and back sections, the chair is designed with a unique sense of detail. A true timeless piece of designer chair. The Less chair is designed and developed by designduo Hee Welling and Gudmundur Ludvik. 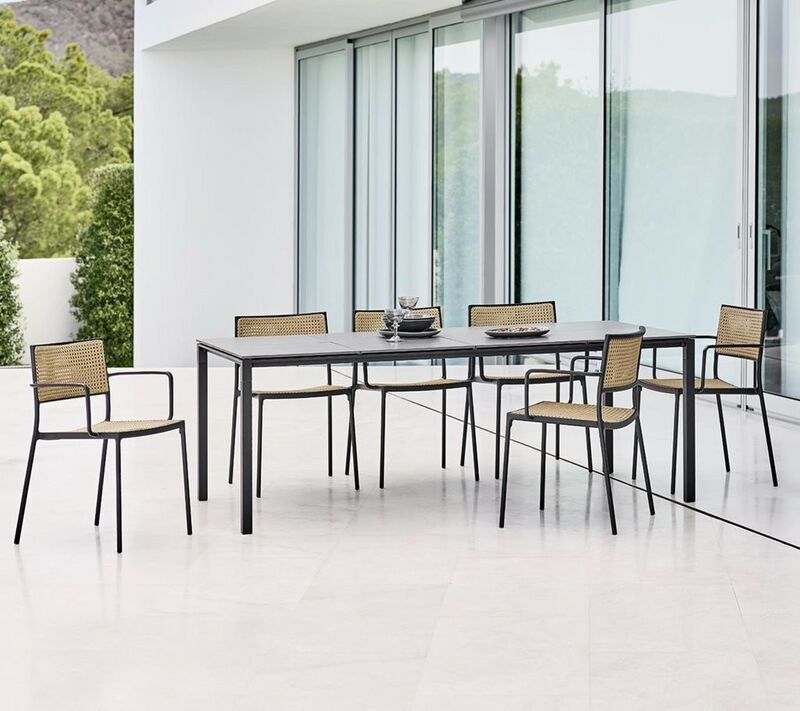 The Less chair has a very simple and minimalistic frame construction that is cast in aluminum and refined down to the smallest detail. 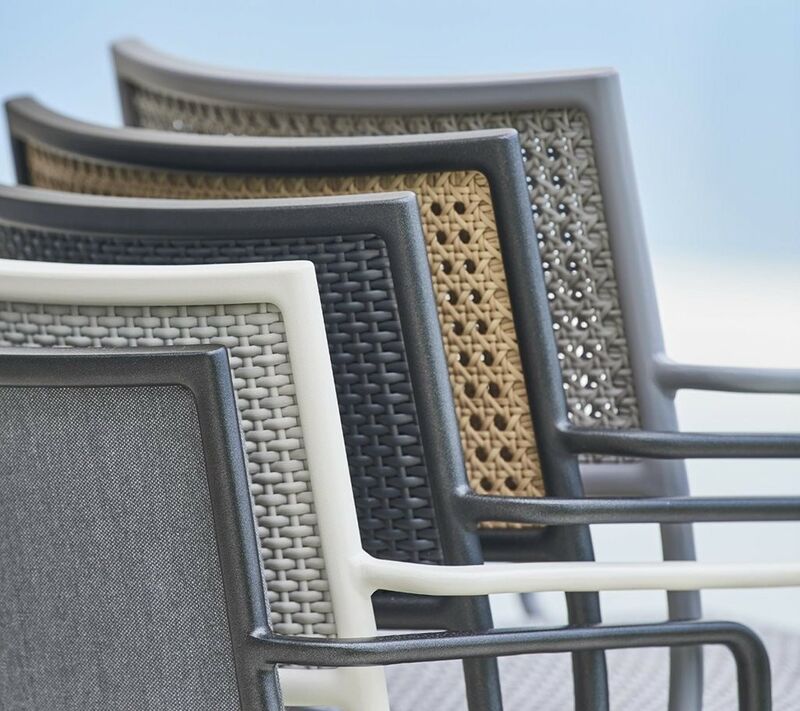 The seat and back are made with Cane-line French Weave. 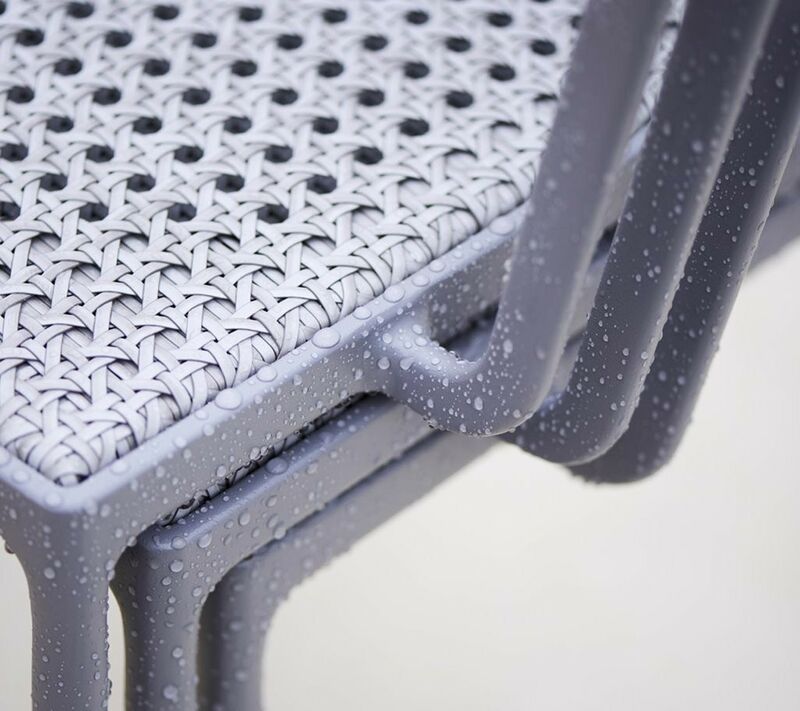 The Less chair is stackable, and therefore suited for most use cases. 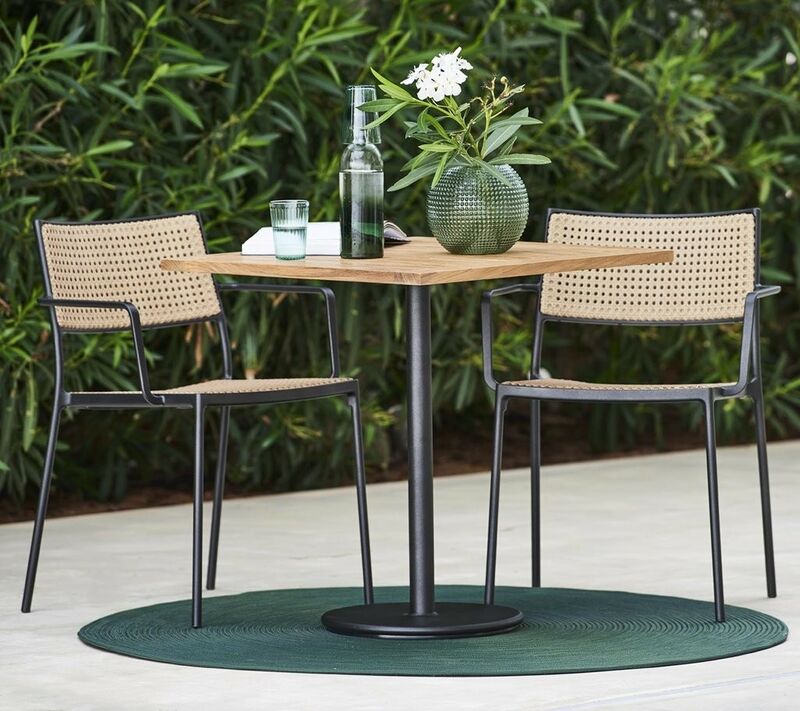 Both as part of a dining group, a meeting room environment or as an extra stylish chair that can be fetched in for any purpose - especially when space is an issue. 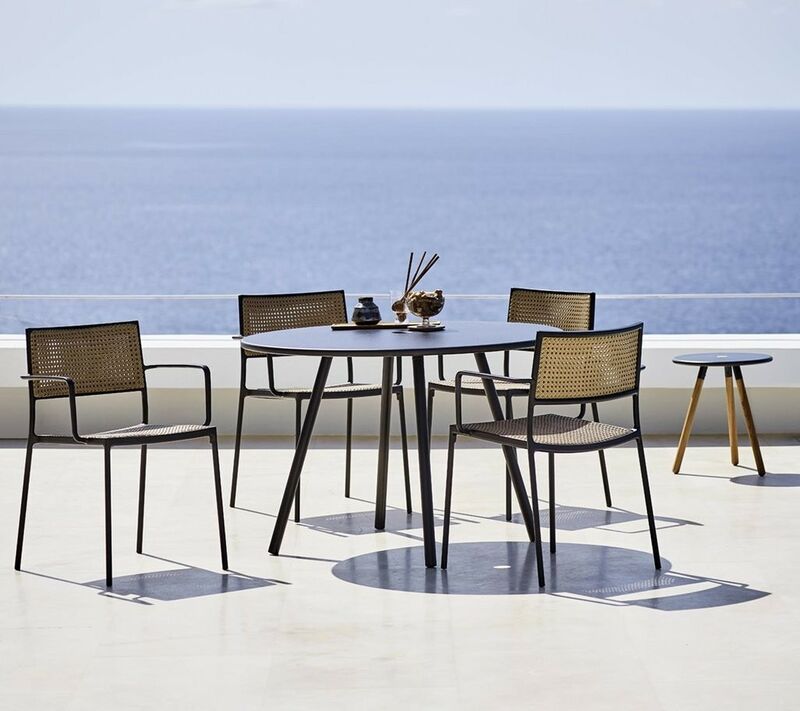 The less chair is durable as well as stable and strong, and optimal for both outdoor and indoor use due to the chair having been coated with a special powder treatment that is even suitable under most weather conditions.